For the most part, I feel good. But my back is killing me this time around. I think the baby is sitting lower and this extra weight is just painful. I've gained around 12 pounds so far but it may as well be 50. Sitting for long periods of time (work, car trips) is the most painful. Any tips to help? Halloween was so much fun this year. I know, it's almost Thanksgiving. But we've never really talked about Halloween, right? Henry loved dressing up and walking around the neighborhood this year. And I loved raiding his candy at the end of the day. He was a mako shark. Not just a shark, but a mako shark. Brandon and I celebrated 5 years of marriage. Last year we decided to instill a tradition of taking the weekend of our anniversary and going away to somewhere we'd never been. We had planned to make a trip to Toronto this year, but with my aforementioned back pain, walking around all day just didn't sound like fun to me. So instead, we went a couple hours away to the Peak 'n Peek Resort in Clymer, NY for a weekend of peace and pampering. We've not prepared for the baby one bit. Second child syndrome? Possibly, but we haven't started doing anything for the baby just yet. I'll go ahead and admit that I'm reluctant to start on the nursery because that means I lose my office. And having to go downstairs to work on the magazine all the time doesn't sound like fun to me. Henry is talking more and more about his "baby sister" (no, we still don't know what we're having, but Henry is insistent it's a girl) and what he will teach her and share with her, and also what he won't. Our plan is to start working on the nursery the week after Christmas when we both have some time off of work. The idea of our very near future is freaking me out. I'm excited to bring the baby into our lives. I know it's going to be amazing. But I'm also terrified about how this shift will work, particularly when it comes to me having time to work on the magazine. 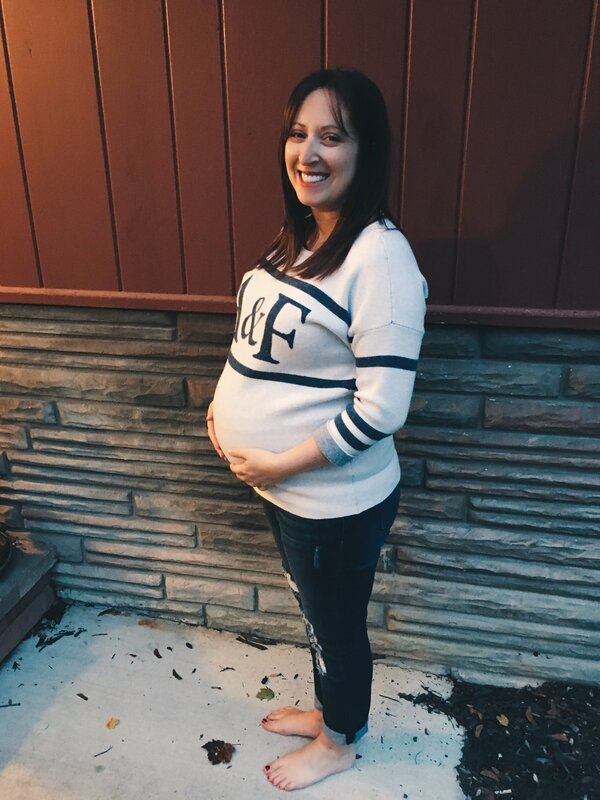 I've never been as passionate about something as I am about Holl & Lane, and the thought that I not only have to keep this running while both pregnant and having a newborn, but also that I have deadlines right around the due date is making me panic. Plus, will I still have time to devote to it? Will I still be able to make it great? Will I be able to really make this a sustainable business? Will I ever sleep again? Thanks for sticking around and reading (to those of you who do). I'd make some sort of promise about being around more, but let's be real: with a full-time job, a full-time "side hustle", freelance design work, wifedom, motherhood, and pregnancy, we're lucky if I remember to put my underwear on the right way (side note: I wore them inside out all day a few days ago). But there is one thing I promise - to share pictures of, what I can only assume, will be a baby as adorable as that little guy up there. February can't come soon enough.